Leak free, easy starting, bevel head engine that has been kitted to 1000cc. Dyno tuning shows 78hp & 55lbs of torque at the rear wheel, geared for 145MPH redline. Carbs recently adjusted and throttle slides synched. Seat recovered by Sargent saddles to maintain the original look with atomic foam to replace the old worn out foam. 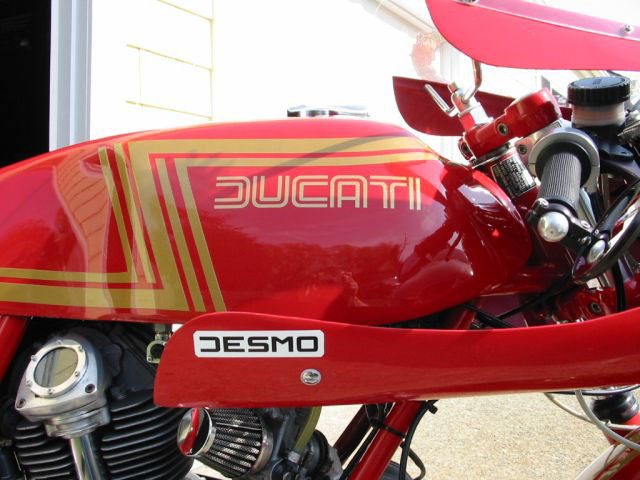 Ducati factory race fairing, from the period, with directional's removed for racings…know your hand signals. 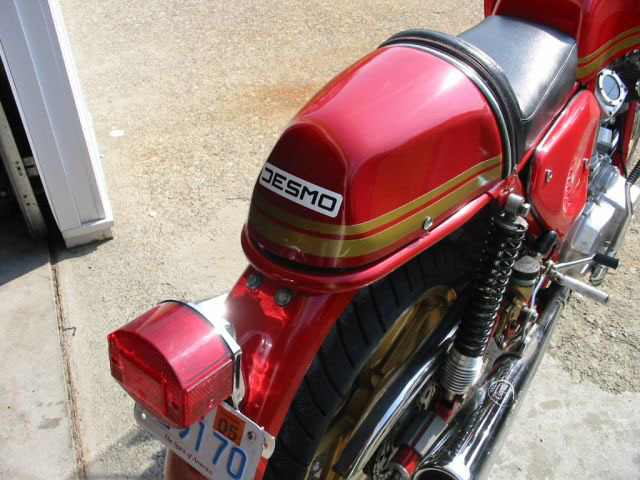 The red/gold paint scheme was done by the original owner when the bike was raced in California. Some minor blems (more photos available, just ask)…nothing you would not expect to see on a clean, well maintained, ridden, classic bike. All electrics work except the dash lights…big surprise, do any dash lights work from this era? Receipts, dyno sheet, parts/repair books and original owners manual included in sale. Bike is located in SE Massachusetts, I can help to crate or arrange shipping. New owner is responsible for payment of shipping in addition to the agreed purchase price of the bike.